• Open fronted chilled display for self help service. 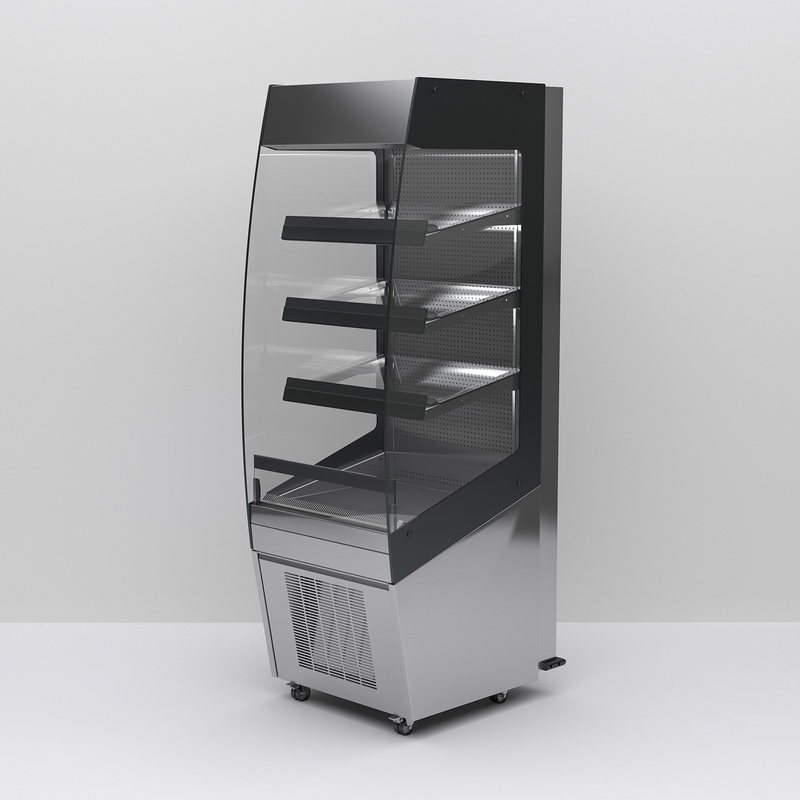 • This display maintains pre-chilled food at a regulated temperature. • Perfect for sandwiches, filled rolls, dairy products, drinks etc. • Three glass shelves with illumination to all shelf levels. • Electric defrost for safe 24 hour operation. • Controls located in drop-down fascia. • Castors come as standard with this display. • Fixed back as standard. Rear doors as optional extra. See below. • Flat shelf option now available designed specifically for full drinks display. • A wide range of optional extras are available.